Sabine Carey gave a lecture on the organisation of state violence at the University of Mainz on 10 July 2017. This lecture was part of a lecture series on human rights, open to students and the general public. Anita Gohdes and Sabine Carey have written an article about their latest study on the link between the killings of journalists and human rights violations more generally in the Frankfurter Allgemeine Zeitung, 4 June 2017. Sabine Carey talks to Mark Goldberg from Global Dispatches about her research with Anita Gohdes on the killings of journalists: "http://www.globaldispatchespodcast.com/what-political-science-can-teach-us-about/", based on their article in the Journal of Peace Research. The European Commission posted a short report about our study on using the killings of journalists to assess the risk of wider human rights violations. 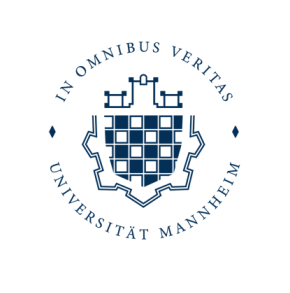 On 4-5 May 2017 we host a workshop on post-conflict peace and stability at the University of Mannheim. This workshop facilitates the discussion and exchange of research projects that focus on post-conflict peace and stability. We also discuss our upcoming field work in Nepal, Georgia and Sri Lanka, where we explore the role of the media and armed groups in the quality and condition of post-conflict peace. External participants include Kristin Bakke, Scott Gates, Indra de Soysa, Alexander da Juan and Nino Abzianidze. Sabine Carey will be giving a keynote lecture at the international workshop on Conflicts and Institutions, organized by the Network for the Advancement of Social and Political Studies (NAPS) at the University of Genoa, 21 June 2017. Other speakers include Stathis Kalyvas, Stefano Costalli, and Andrea Ruggeri. Sabine Carey is presenting the paper 'Preparing for repression: how media constraints affect the escalation of repression', co-authored with Belén González (University of Mannheim) and Neil Mitchell (University College London) at Heidelberg University. The presentation takes place as part of the conference The International Dimension of Vertical Threats and Regime Security in Authoritarian Regimes at the Institute of Political Science, 16-17 February 2017. Belén González is presenting the paper "The benefits and costs of concessions: explaining the lack of escalating violence in the Chilean democratic transition" at the University of Heidelberg, 27 January 2017. This paper is co-authored with Sabine Carey and based on fieldwork carried out in October 2015. Sabine Carey will give a public keynote lecture on "The Political Economy of State Violence" at the international conference "The Political Economy of Democracy and Dictatorship". This conference is organised by Thomas Apolte, University of Münster, Mario Gilli, Bocconi University Milan and Yuan Li, University of Duisburg-Essen and held at the University of Münster, 22-24 February 2017. See the conference website. Sabine Carey is presenting ongoing work on the escalation of repression with Belén González and Neil Mitchell at the Economics & Politics Seminar at the University of Heidelberg, 13 December 2016. In a new study in Journal of Peace Research, Anita Gohdes and Sabine Carey show that the killings of journalists can act as early warning indicator for worsening overall repression. Download the ungated article.